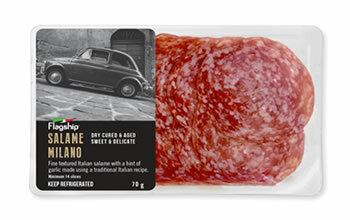 Salame Milano is fine textured Italian salame with a hint of garlic, made using a traditional Italian recipe. 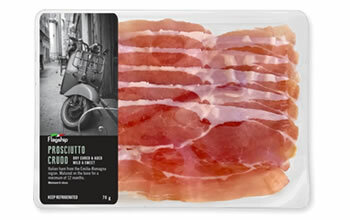 Prosciutto Crudo is Italian ham from the Emilia-Romagna region. Matured on the bone for a minimum of 12 months. 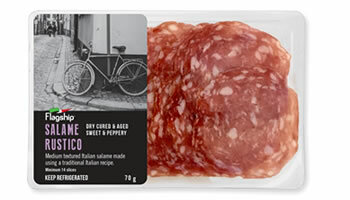 Salame Rustico is medium textured Italian salame made using a traditional Italian recipe. 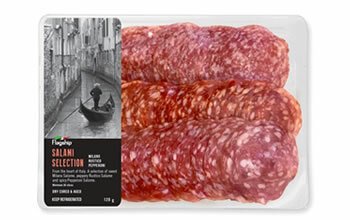 Salami Selection is from the heart of Italy. A selection of sweet Milano Salame, peppery Rustico Salame annd spicy Pepperoni Salame.